The Supreme Court has today handed down judgment in KO (Nigeria) and Others v Secretary of State for the Home Department  UKSC 53. EIN members can read the judgment here. Matrix Chambers' UK Supreme Court Blog noted that the appeals concerned whether a court or tribunal, when considering the public interest in deportation, should take into account parental misconduct when assessing whether the effect of deportation on a child is 'unduly harsh' under section 117 of the Nationality Immigration and Asylum Act 2002 or para 399 of the Immigration Rules. 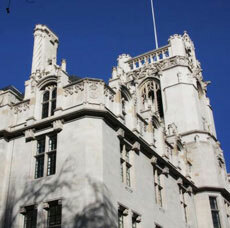 The Supreme Court considered the weight to be given to the public interest in this situation, and also considered the correct approach to determining when it will be unreasonable to expect a non-British child who has been resident in the UK for seven or more years to leave the UK. The Supreme Court unanimously dismissed the appeals, saying that the purpose of Part 5A of the Nationality, Immigration and Asylum Act 2002 is to produce a straightforward set of rules and to reduce the need for discretionary judgement when taking account of public interest or other factors not directly reflected in the wording of the statute. The Court found that parental misconduct is irrelevant to the ‘unduly harsh’ test. Garden Court's Colin Yeo called it an "interesting but tricky" judgment. "Good news for children best interests generally, I think, but bad news for the individual families in these cases," Yeo said. Further detailed analysis of the judgment by Yeo is available here on Free Movement. Ben Amunwa also has detailed analysis on his Law Mostly blog here. Amunwa considers how the "landmark judgment sets out fresh guidance for immigration cases on the law of children's best interests, and the extent to which parental misconduct can be considered in human rights claims involving settled children." ILPA's legal and parliamentary officer, Paul Erdunast, said on Twitter: "My initial reading is that this is a neutral judgment. Much will depend on future practice: how far and how regularly will tribunal judges consider the criminality of the parents when deciding on the effect of deportation of the parent on the child?" Garden Court Chambers said: "The judgment resolves, in favour of proposed deportees and their families, a long-standing tension between, on the one hand, the case of MAB (USA) v Secretary of State for the Home Department  UKUT 435; and, on the other, the stated reasoning of UTJ Southern when KO was before the Upper Tribunal: KMO (section 117 – unduly harsh) Nigeria  UKUT 00543 (IAC). UTJ Southern disagreed with the analysis in MAB, which he thought gave insufficient weight to differing levels of parental criminality under section 117C(2). This approach was endorsed by Laws LJ in MM (Uganda) v Secretary of State for the Home Department  EWCA 617. "The judgment will have wide-ranging beneficial consequences for the children and partners of appellants sentenced to less than four years’ imprisonment who are resisting deportation on Article 8 grounds. The nature and quality of the evidence as to the impact of deportation on children will become critical in appeals before the tribunal." Part 5A of the Nationality, Immigration and Asylum Act 2002 ('the 2002 Act') is headed "Article 8 ECHR: Public Interest Considerations". Section 117A applies where a court or tribunal needs to determine whether an immigration decision breaches a person's right to respect for private and family life. In considering the "public interest question" – whether an interference is justified under Article 8(2) – the court must have regard to the considerations listed in section 117B and, in cases concerning the deportation of foreign criminals, to the considerations in section 117C. A "foreign criminal" is a person who is not a British citizen and who is convicted of an offence in the UK that attracted a sentence of at least 12 months, caused serious harm, or is a persistent offender. Section 117B includes a provision that where a person is not liable to deportation as a foreign criminal, the public interest does not require the person's removal if that person has a genuine and subsisting relationship with a qualifying child and it would not be reasonable to expect the child to leave the UK. A "qualifying child" is a person under 18 and is a British citizen or has lived in the UK for a continuous period of seven years or more. Section 117C provides that deportation of foreign criminals is in the public interest but, if sentenced to less than four years' imprisonment, there is an exception where there is a genuine and subsisting parental relationship with a qualifying child, and the effect of deporting the person would be unduly harsh on the child. Three appellants (KO, IT and NS) argue that when determining whether it is "reasonable to expect" a child to leave the UK, or whether the effect of deportation of a person would be "unduly harsh" on their child, the tribunal is only concerned with the position of the child and not with the conduct of the parents. The respondent argued that both provisions require a balancing exercise, weighing the impact on the child against the wider public interest. The fourth appeal (Pereira, regarding 'AP') concerns immigration rule 276ADE(1)(iv), which provides that leave to remain on the grounds of private life should be granted to an applicant who is under 18, has lived continuously in the UK for seven years, and whom it would not be reasonable to expect to leave the UK. AP's application was refused on the basis that it was reasonable for him to accompany his parents to their country of origin. The Supreme Court unanimously dismisses the appeals. Lord Carnwath gives the sole judgment, with which the other Justices agree. The purpose of Part 5A of the 2002 Act is to produce a straightforward set of rules and to reduce the need for discretionary judgement when taking account of public interest or other factors not directly reflected in the wording of the statute. It also presumed that those rules are intended to be consistent with the general principles relating to the "best interests" of children . Rule 276ADE(1)(iv) contains no requirement to consider the criminality or misconduct of a parent as a balancing factor and such a requirement cannot be read in by implication . Section 117B of the 2002 Act does not include criminality as a consideration . However, it is inevitably relevant to consider where the parents, apart from the relevant provision, are expected to be, as it will normally be reasonable for the child to be with them. To that extent the record of the parents may become indirectly material if it leads to them having to leave the UK. It is only if it would not be reasonable for the child to leave with them that the provision may give the parents a right to remain . In section 117C of the 2002 Act, "unduly harsh" introduces a higher hurdle than that of "reasonableness" under section 117B. "Unduly" goes beyond a level of "harshness" that may be acceptable or justifiable in the relevant context. It does not require a balancing of relative levels of severity of the parent's offence, other than is inherent in the distinction drawn by the section itself regarding length of sentence, and it does not require "very compelling reasons" . KO and IT concerned section 117C of the 2002 Act. In KO the Upper Tribunal judge was wrong to decide that he should take account of the criminality of the parent in applying the "unduly harsh" test [26, 32]. However, this did not affect the correctness of his conclusion, as his overall approach seemed no different to that which the Supreme Court accepts as correct [33-36]. In IT the Court of Appeal was wrong to introduce a "compelling reasons" test and to proceed on the basis that the assessment of harshness required the "nature of offending" to be considered . However, the First-tier Tribunal had erred in proceeding on the basis, unsupported by the evidence, that IT's child, as a British citizen, could not be expected to relocate outside the UK . The Supreme Court confirms the order of the Court of Appeal for remittal to the Upper Tribunal . NS concerned section 117B of the 2002 Act. The parents had falsely claimed to have completed a postgraduate course in order to obtain leave to remain . The Upper Tribunal judge's conclusion, read in its full context, did not involve any error of approach. He was entitled to regard the parents' conduct as relevant to the extent that it meant they had to leave the country, and to consider the position of the child on that basis . Pereira concerned rule 276ADE(1)(iv). The Court of Appeal ordered that the case should be remitted to the Upper Tribunal for a fresh determination and it did not limit the issues before the tribunal. As AP is now aged 19 he is in principle qualified for leave to remain under rule 276ADE(1)(v) and so the appeal may be disposed of by agreement. If not, it will fall to be considered in accordance with the law stated in this judgment. No further order is required [54-56].